Forget boring workout programs that have you doing the same tedious workouts over & over again; with this program, you'll be doing a different workout video literally every single day. Even better; you don't need anything other than your own bodyweight for this no-equipment home workout program. Our 4 Week Bodyweight-Only Fat Loss Program provides a detailed, day-by-day plan of our workout videos to quickly and safely change your body and your health. The calendar tracks your progress through the challenging and highly effective cardio, bodyweight strength training, HIIT, plyometric, Pilates, stretching, yoga, balance & agility training workouts, to help you get fit as fast as possible. Many people who complete these programs see weight loss, reduced body fat, drastic improvements in body tone, endurance, strength, & flexibility gains. There are 5 challenging workout days a week, with an optional 6th day of stretching or yoga. The workout sessions range from 26-50 minutes, averaging out to 37 minutes a day. Use #fitnessblender and #FBbodyweight on social media to track your workout sessions, share your progress, find motivation, and connect with people around the world who are following this program. 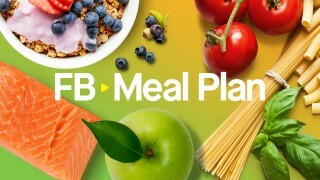 We encourage you to use our Community or #FBbodyweight and #fitnessblender on social media to track your workout sessions, share your progress, find motivation, and connect with people around the world who are following this program.